Gourmet wine tasting vacations in Spain. Rutas de Vino – Vintage Spain is a travel agency specialized in Gourmet Wine tours and wine and gastronomy related activities. 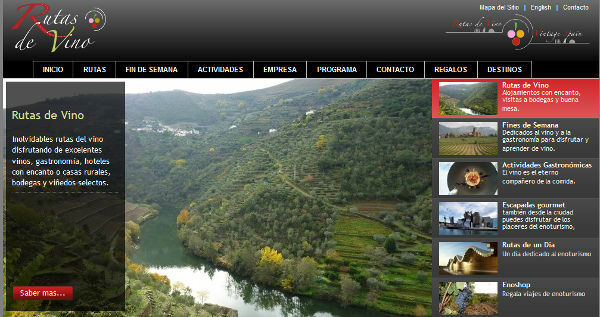 Vintage Spain specializes in organizing wine and gastronomy related activities and tours in the main wine Spanish regions and the area of the Douro valley and Porto in Portugal. We offer guided or independent gourmet wine tours; one day excursions to wine areas; gastronomic activities like cooking classes, tapas and wine tours; wine tasting sessions and courses; active wine vacations where wine tasting can be combined with hiking, walking, horse back riding or golf, or wine and adventure programs. Culture, art and history are also an important part of our tours. Besides our scheduled group tours, we mainly organize customized tours and activities designed specifically for our customers. We can work with any size group, both with the domestic and international market. We always customize the tour. Every group is different so we will work with you to get the best possible experience.